On the south side of Hickory. In the background, Samaritan Health’s building. 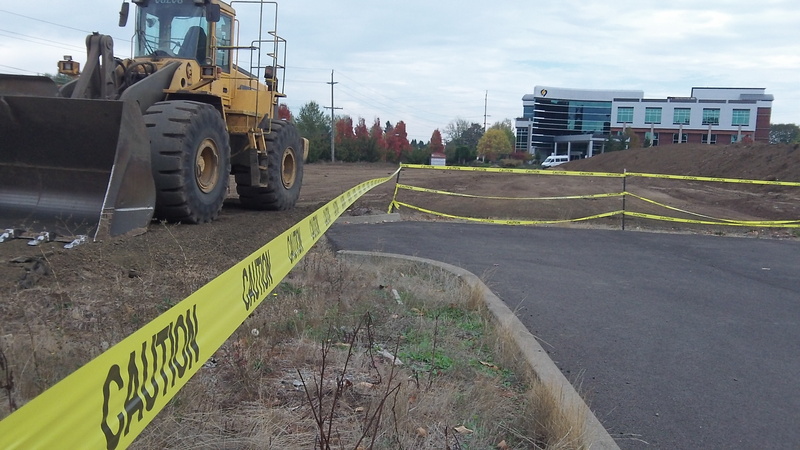 Vacant land on both sides of Hickory Street in North Albany may not stay vacant for long, judging by applications pending at City Hall, although the timing of the respective developments is unclear. On the south side, the Planning Division is reviewing a site plan and related applications for a 5,432-square-foot commercial building and a coffee kiosk. The site covers three parcels at 630-650 Hickory St. N.W. and is owned by Patty and Gary Davenport, who sold the city part of the property for the planned new downtown fire station. On the north side of of the street, an engineering firm has applied to Public Works for erosion-and-sediment-control and fill permits for more than 6 acres at 435 Hickory on behalf of Samaritan Health, the mid-valley medical and hospital conglomerate. It’s early in the process yet and no site plan has been filed. But the planning division understands Samaritan has plans for medical office buildings on the site. Meanwhile, North Albany is still waiting for word on when a new business, preferably a supermarket, will fill the space left by the forner Ray’s. When there’s something to report on that, you’ll see it here. (hh). North of Hickory, the land has been staked. 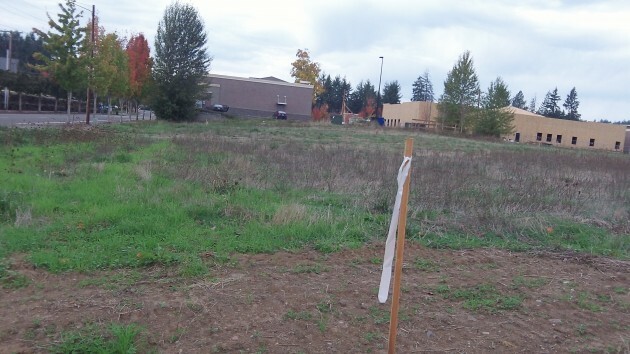 View is toward Corvallis Clinic and dialysis clinic under construction. Sounds like things are on the move. That’s what happens when a community invests in the future by upgrading infrastructure and bringing vitality back to downtown. When folks see a better future ahead, they’re willing to bet on the future. The idea that the businesses locating to Hickory are a result on CARA spending $10M over 10 years in a small downtown section across the river is total B.S. So do you REALLY think that keeping downtown a decrepit dump as it was for years was good for attracting new business and people moving to town? If you do, I can make you a really sweet deal on the Lyon Street bridge if you’re in the market. I’m holding out for one of Albany’s “historic, post 8.0+ richter buildings,” preferably one on First St. Those should go pretty cheap someday. I already have a bridge and I’m thinking the building will be a better investment after the “big one” hits.